New officer- training resources from Being Reformed will inspire transformational leaders for your church! 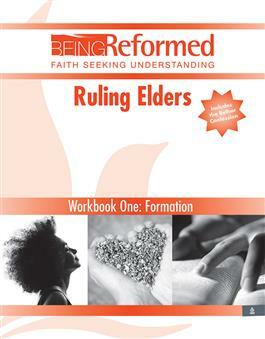 Ruling Elders: Formation guides nominated leaders through the discernment process and helps readers come to terms with the process: election to office, preparation for ordered ministry, ordination, and installation as a ruling elder on the session. This insightful resource may be used in different ways: as a self-guided study, as a group study, and as a ready reference for session reflection. Session members also can use this resource to inform their ongoing ministry. ¡Refórmanos! : Bautismo Manual de trabajo: Vamos a la fuente.